If there’s one thing you don’t see a whole lot of in America, it’s French cars. I’ve crossed paths with a few Citroens before including the Traction Avant and the Chevrolet V8-swapped DS that formerly belonged to Alice Cooper. 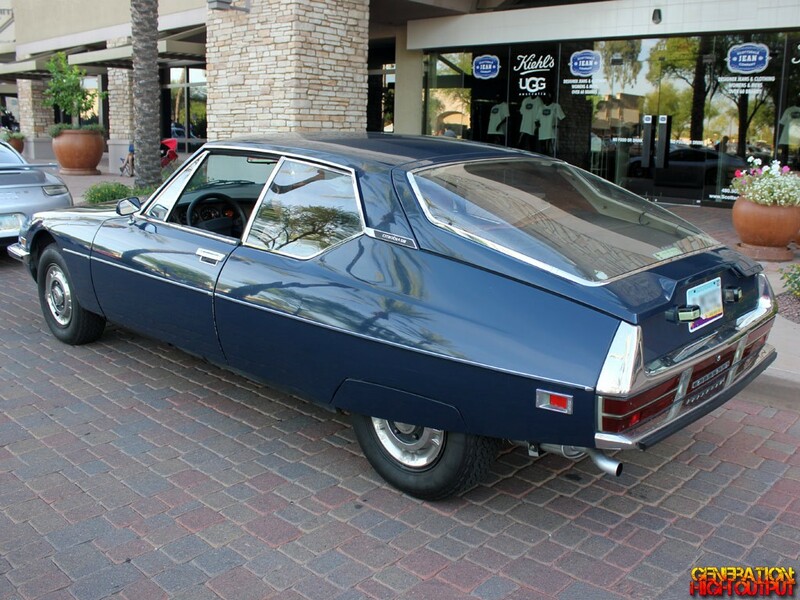 Today I present another of Citroen’s automotive oddities: the 1973-1973 SM coupe. The SM was Citroen’s attempt at making a sporty 2-door car based on the popular DS. Though it was sold in Europe and the rest of the world, the SM was only available in the U.S. for two years, making this a very rare car. Sales in the United States totaled 1,250 in 1972 and 1,150 in 1973, for a grand total of just 2,400 vehicles. The car was not imported after that because it did not meet the newly-enacted 5 mph safety bumper standards passed by the NHTSA. Under the hood, the SM was equipped with a 90-degree V6 engine making 170-180 HP, depending on the year. This was a far cry short of the American sports cars of the era, which easily put down more than 300 HP from their large V8 engines. Its design did not look very sporty with its rear wheel arches partially covered – a feature primarily found on American luxury cars such as Lincoln and Cadillac. Although it wasn’t particularly fast or good looking, the Citroen SM was packed with far more technological innovations than its competitors. It was incredibly aerodynamic, being tested extensively wind-tunnel tested before going into production. It was front-wheel drive, another innovation that was unfamiliar to most American buyers at the time. It had a top speed of 140 mph and featured 4-wheel disc brakes, speed-sensitive steering, and a leveling suspension system. However, the cars were not without their quirks. The steering wheel had an unusual shape, as did the dashboard with its oval-shaped gauges. 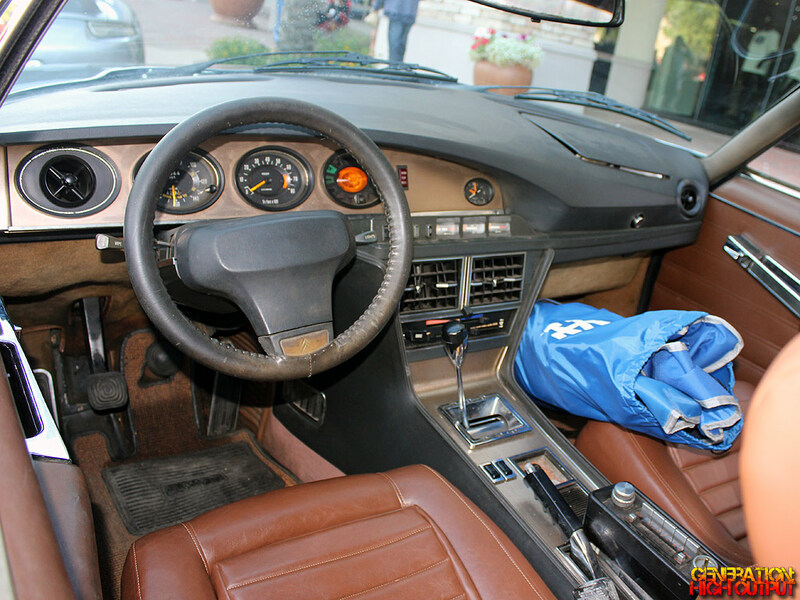 This particular car has a radio in the center console – though I don’t know enough about Citroens to determine if this was a factory option or not. For all of its innovations in design and engineering, the SM was voted “Car of the Year 1972” by Motor Trend Magazine – an unprecedented honor for an import car. But their rarity and expensive maintenance means that today, these cars are not widely known or appreciated outside of enthusiast circles. Citroens are one of those things where you either get what they were trying to do or you don’t – there are no casual Citroen fans. What do you think – was this the completely wrong car for the American market, bad timing, or a good idea that never caught on? 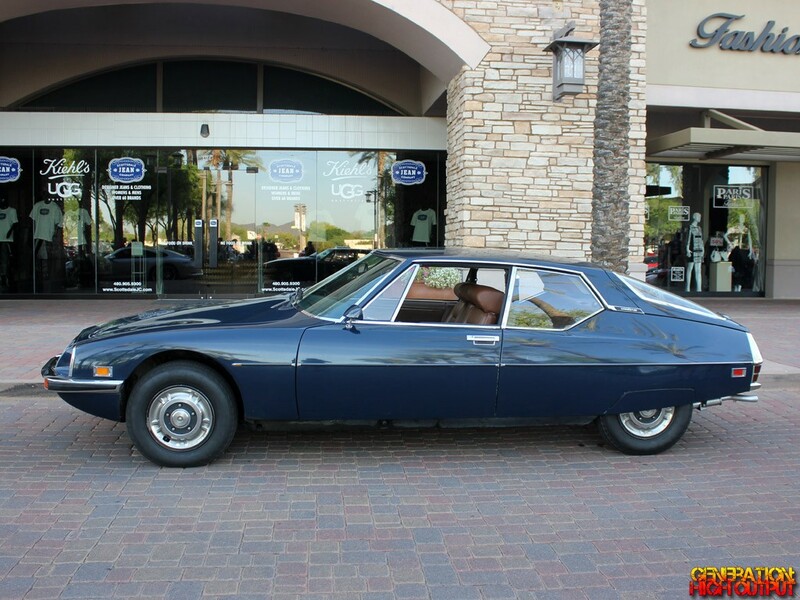 This entry was posted in Cars and Coffee and tagged 1970's, citroen, citroen sm, Coupe, French car, import, rare by Trevor Freeman. Bookmark the permalink.